Usage notes: The first of November, la Toussaint, is a day of remembrance, and people’s moods are often reflected by gray and gloomy skies. 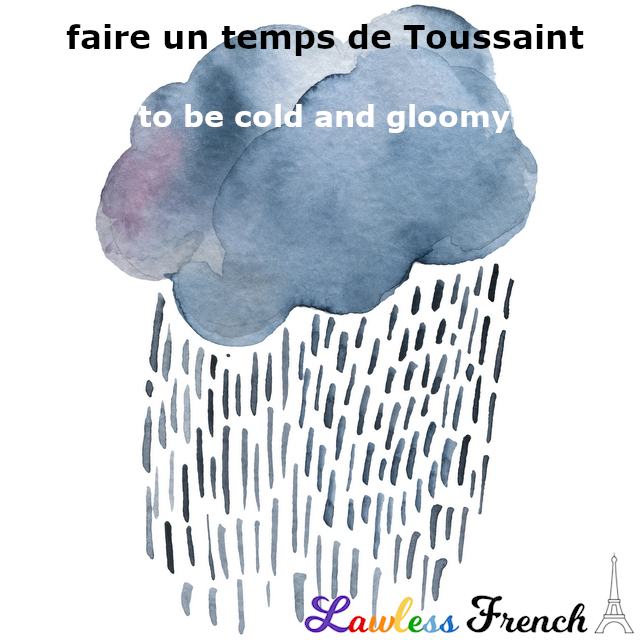 Faire un temps de Toussaint references this typical autumn weather, though the expression can be used any time of year. Il fera un vrai temps de Toussaint pour le 1er novembre. It will be genuine Toussaint weather on November 1st. Il fait un temps de Toussaint en Alsace cette semaine. 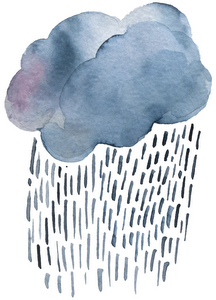 It’s Toussaint weather in Alsace this week. Un temps de Toussaint en août ? Bizarre ! Toussaint weather in August? Weird!